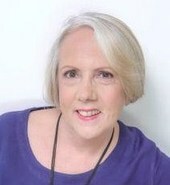 I'm a UKCP-accredited psychotherapist seeing clients in Weybridge in Surrey. I provide a safe, non-judgemental, confidential space in which we can explore what is affecting your peace of mind. You may feel anxious, uncertain, demoralised, depressed, isolated, lonely, hurt, angry or overwhelmed by life. Counselling provides the chance to be who you really are and to express genuine feelings, including those you prefer to hide from the outside world. The opportunity to be authentic can not only provide a sense of relief but may also lead to greater clarity, self awareness and personal growth. I offer support and guidance on this therapeutic journey, working with you to alleviate your distress, uncover what affects your equilibrium and move towards realising your full potential. By providing an objective but empathic listening ear, I can signpost potential distortions in your thinking and help you to identify recurring patterns and themes. If you're feeling powerless and struggling to make simple decisions, counselling can help you regain a sense of personal power. My integrative training allows me to use tools and practices from a variety of theoretical models. In practice this means that in addition to counselling skills, I might use meditation, visualisation, drawing and dream analysis to help uncover your unconscious saboteurs and to help you gain clarity and insight into your situation.